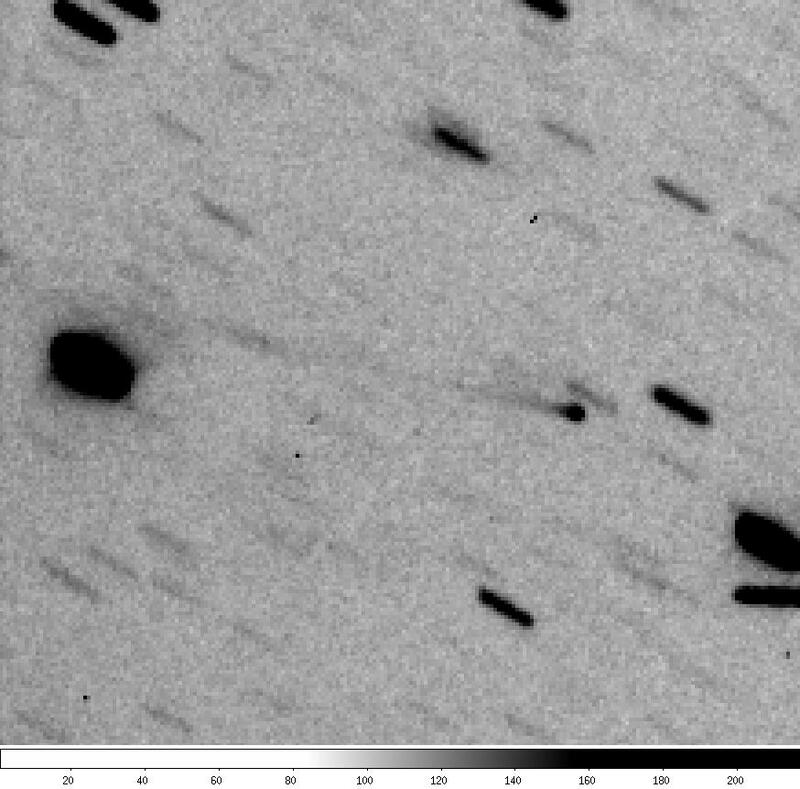 This comet was discovered by Spacewatch observer Jim Scotti (me!) on the night of 2010 February 9 UT. This first image is the sum of 9 images taken on 2010 February 10 with the Spacewatch 1.8-m telescope on Kitt Peak in Arizona. North is at top and east at right. Notice how long the tail appears (this image is reversed left for right compared with the prediscovery and discovery images below). 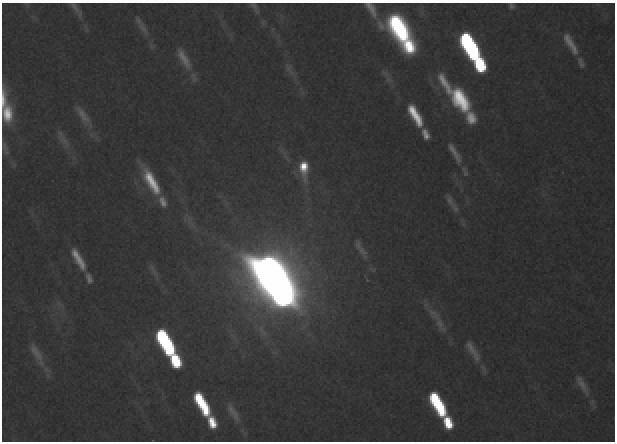 These two images show a prediscovery images obtained with the Spacewatch 0.9-m telescope on 2010 February 5 and the discovery images from 2010 February 9 with the same telescope. You can see how subtle the comets faint tail is and how stellar it looks amongst the noise of the CCD camera. North is at top and east at left. This image was taken with the 1.8-m Spacewatch Telescope on 2010 March 20 UT and is the sum of 9 images with total integration time of 1262 seconds. North is at right and east at the top.